Winter holidays in Nepal. How to book winter holiday trek tours in Nepal ? Winter holidays in Nepal is one of the most popular travel activities. During the Winter holidays in Nepal climate and weather is comparatively not good as autumn and spring. Even during the daytime, the weather is fine and get warm, so it makes traveler active and happy to get their destination. Nepal was known as a paradise of Earth, Shangri-La – the roof of the world, living cultural Museum, the birthplace of the Lord Buddha and is the country of living Goddess. Nepal offers an astonishing diversity sightseeing attractions and adventure opportunities found nowhere else on earth. It is also known as a melting point of Hinduism & Buddhism offering non-stop festivals throughout the year. Nowhere else on the world is found the astonishing diversity of attractions and adventure opportunities as Nepal offers that’s the reason NEPAL is listed on the top first travel destination in the world which is published by Huffington Post news. Winter season even low land of Nepal is also pretty cold and the weather is foggy in the morning but in the daytime, it is usual as another season, especially the middle hill of Nepal are perfect weather. During winter holidays, we have tour packages which we tailor-made according to your time limitation while you are staying in Nepal. 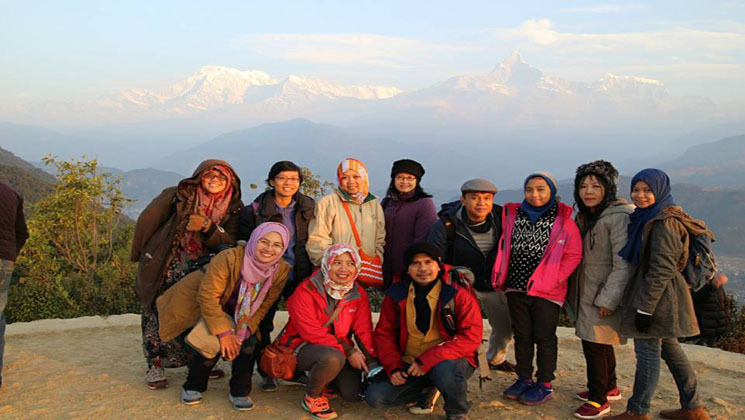 Winter holiday includes city tour, day hiking, short trekking and Mountain flight, sunrise and sunset tours etc. Find some travel itinerary for your holiday in Nepal. Don’t miss this exciting discount offer from Gokyo Treks and Expedition! It has now come up with new episode of discount offers/special offers. These offers subject to change anytime, so, hurry up. Secure your fraction! Just you have to arrange your international flight tickets, Insurance and visa. Find some sample tour packages about Winter holidays in Nepal.